"From New York Times bestselling author Patrick Carman, a teen fantasy-adventure of epic proportions. In 2051, some teens have a “pulse,” the power to move objects with their minds. Compulsively readable, with thrilling action scenes and a tender love story. 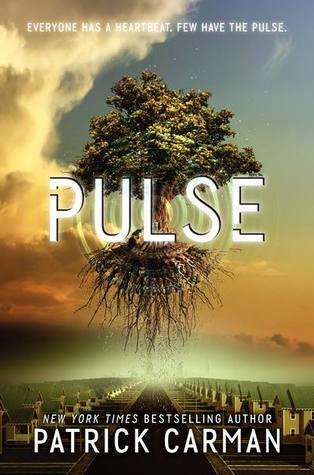 Patrick Carman’s Pulse trilogy is a stunning, action-filled triumph about the power of the mind—and the power of love." First line: "Faith Daniels as sleeping soundly when several thngs in her room began to move." Thoughts: There's just something about the words pulse and dystopia that gets my heart racing. Add a gorgeous cover and telekinesis, and you've got my full attention. Patrick Carman delivers readers not only a world filled with intrigue and despair but also characters who, let's be honest, completely make the book what it is. 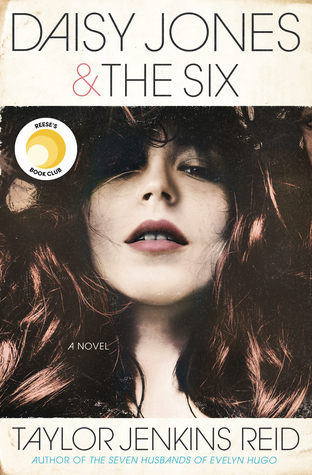 This may be a dystopian novel and also contains magic but reads like a contemporary book. Interested? Well, you should be. The author takes no time leaping straight into the story. As the reader, you know from the very beginning that Faith can move objects with her mind. Sadly for Faith, it seems to occur in her sleep thus leaving her to believe she is just an ordinary girl. For now, she'll continue to attend a new school (again) with her friend Liz as well as download new songs into her tab. Though the novel is told through multiple points of views (a definite plus when authors decide to write in third person), my favorite character out of everyone was Faith. She has this innocence yet badassery that I just adore. Strong female leads are often difficult to write and/or portray yet Carman seems to do it with ease. One complaint I do have about this novel, however, is the somewhat sluggish pacing. I found myself taking weeks to finish this book when it, due to it's length, should have only taken me a few days. To be perfectly honest, after finishing the first part in PULSE, I had to put it down and start reading something else. I found myself a bit bored with it. Though I enjoy the characters, especially Liz and Hawk, I just couldn't find the will to push through. Being the optimist that I am, I did eventually come back to PULSE, gave it another chance, and read the final two parts in this novel. I'm glad I did because the third part of this book was definitely the show stopper. It made it worth while and left me both excited and giddy for the next installment. Though this is not my favorite of Carman's books, I do believe his fans will be pleased with PULSE. The world building is rich and imaginative. Every character has a distinct personality leaving you, the reader, either loving them or hating them. The writing is sensational so if you pick this up and feel like you need to quit after so many pages, don't. If you have to take a break do so but be sure to come back. Believe me when I saw the best is yet to come! Ooh, telekinetic powers! I'm a bit worried because I tend to drop a book once I get bored, but it still sounds really good! Great review. That was my thought about the pacing and book. I enjoyed his previous books. This seemed mish mash of so many ideas . A lot of the books I end up loving start slow, especially if they're doing laying out the foundation of the story. I love the fact that she has no idea of what she can do since it doesn't occur when she's awake. It makes me really curious to find out what she does when she finds out! Great Review.. Indeed a must read book...! If your are out to buy books online in India, do not forget to add this book in your list..